Otto Preminger always moves through space so fluidly with his camera, and Daisy Kenyon is introduced with a single scene, but it’s the perfect post for the film to hang its hat on. There’s Dan O’Mara (Dana Andrews) trying to get the cabby to keep the meter running only to relent when the cabby gives him the statistics on New York’s taxi shortages. Joan Crawford’s punching pillows as Daisy Kenyon, a successful artist who has had an amiable fling for some time with the man. He already has a wife and kids. It’s not where she wants to be. She’s not looking to be a homewrecker. But it’s partially O’Mara’s fault, a successful lawyer who walks in and grabs himself a cup of coffee as nice as you please — all part of his normal routine. Moments later, another cab appears with Henry Fonda, the understated G.I. Peter Lapham, who winds up on Daisy’s doorstep to call on her for a date. In this opening moment, it takes us so long to know how these characters relate to each other. Maybe it’s the fact that for two people not married to each other Crawford and Andrew’s characters have such a casual, even comfortable, relationship. This isn’t the passionate tryst we’re accustomed to seeing. That’s a beginning and it only gets more fascinating as time marches on. Henry Fonda feels like he should be the third wheel of the picture and though recognized as a phenomenal actor, he had been out of the game so long like his buddy James Stewart; it’s hardly possible to know what to expect from him. We have My Darling Clementine (1946) and that’s about all. When he pops up, we almost lose him behind the personality of Crawford and Andrews’ own brand of charisma. But that’s why I’ll always admire Fonda as an actor, because his natural delivery leaves an impression that’s a perfect counterbalance, almost to the point of undermining what his costars are doing. 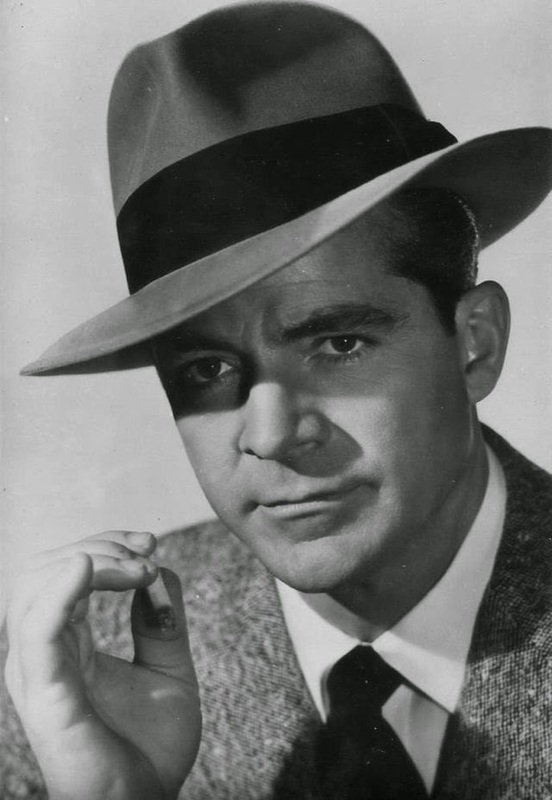 Meanwhile, Dana Andrews doesn’t appear to make a very convincing father, because every time you hear him say “Baby” to his daughter, a noir dame like Gene Tierney or Linda Darnell springs to mind. The associations have already been made long before this picture. It makes it hard to go back now. Remarkably, in all other respects, he fits the bill and he hardly places a foot wrong. It’s the side of Boomerang (1947) that’s rather more interesting. A big-time lawyer’s family life going to shreds outside the courtroom, spilling into his work as well. Thus, Daisy Kenyon rolls out the carpet in the fashion of a romantic love triangle and we can make that assumption right off the bat with the stars whose names flash above the title. But what sets this picture apart mostly has to do with the account of the ensuing melodrama. Because it’s hardly melodrama at all, or at least, it’s a more authentic, even honest strain that feels noticeably genuine compared to what Hollywood generally seemed capable of in the 1940s. Case and point is a very simple sequence around a table at a bar. Our three stars are gathered there together to talk things out like rational-minded adults. They’re the kind of conversations that can be unpleasant and most certainly of a private nature. Still, in another picture, they might have continued the dialogue as the waiter comes up without a second thought, but here the conversation ceases because that’s more like real life. The film itself seems openly aware of this fact as well. What becomes equally noticeable is the lack of the kind of soppy manipulative scoring we might see in other works. Embraces and kisses and sweet nothings but none of the same mood created. Again, a little like the real world. Choirs only play in lovers’ heads. I do greatly appreciate David Raksin’s score, his work in Laura (1944) being transcendent, and here it fits the mood with its sparing arrangements around certain moments to accent nightmarish attacks and more tranquil interludes. It’s almost counter-intuitive if not refreshing. Subsequently, we witness the most painful sequence of infidelity. Just watching things unravel gives me a heavy heart and I want to grieve even if this is only a cinematic space within which the events are taking place. Because it feels so brazenly real as the lines get crossed and irreparable damage is done. A part of this messy process is the ensuing complications like divorce, settlements, splitting up custody of the kids, and all the future roadblocks that make people more embittered and jaded when it comes to life. Though by title and content alone it doesn’t let much slip, there were also murmurs that Daisy Kenyon featured Japanese-Americans in its storyline and as one myself I usually jump at the chance of any such story. Because normally, they are few and far between in Classic Hollywood. That makes any picture with such content a minor revelation for me whether it was Preminger’s impetus or not. At any rate, The Civil Rights Association comes a calling on O’Mara to represent a Nisei war veteran named Tsu Noguchi who came home to find his farm had been legally taken away from him. We never see the man and there’s not that much more said on the issue except that “It isn’t anyone’s kind of case” but Dan takes it up, assumedly because he wants to impress Daisy and there’s an inkling that he has a shred of decency in his being too. Now here is another picture to add to that modest but still formidable list including The Steel Helmet, Go for Broke!, Japanese War Bride, and The Crimson Kimono. It proves to be a victory for even conceding that such a world and such a history existed. That is enough for me. It’s an extension of the entire film really, constructed of minor intricacies that succeed in making this picture an unprecedented example of 1940s Hollywood. It’s ending is wonderful for how it defuses everything we expect from a courtroom drama or a woman’s picture or any other genre convention. It ends on a natural, smooth note like a nice glass of bourbon cradled in the palm of your significant other. Like clockwork, there’s Henry Fonda again. The man we should never, ever write off. What is the age-old adage? He who laughs last, laughs loudest? Yes, indeed. Boomerang shares some similarities to Call Northside 777 (1948) and Panic in the Streets (1950). Like the latter Elia Kazan film, this one boasts a surprising amount of real-world authenticity and a loaded cast of talent. Those are its greatest attributes as Kazan makes the bridge between the stage and the silver screen. He brings with him a sensibility for a certain amount of social realism matched with quality acting connections he had accrued in his career thus far. The only problem is it’s not very compelling just a good, solid, well-made human drama without much fanfare. At the very least, it hits all the procedural beats it’s supposed to. Sometimes that’s alright and it is interesting the narrative goes fairly in-depth into actual events which occurred back in 1926. In that year a beloved local preacher in Connecticut was gunned down by a fugitive who ran off in the night before he could be apprehended but not before seven witnesses caught a glimpse of his face. The rest of the film is a buildup of the frenzy churned up in the aftermath. The police frantically try and catch the man-at-large with the papers on their back and several political reappointments hanging in the balance. It’s true Boomerang does become a more interesting exercise once we’ve entered a courtroom and a man (Arthur Kennedy) is put on trial for the murder of the aforementioned minister — a defendant who has pleaded his innocence since the beginning although the evidence is stacked up against him including a vengeful witness (Cara Williams). Except the district attorney (Dana Andrews) takes a stand to promote his innocence. In this case, it’s not quite so straightforward. True to form and all parties involved, the acting is a great joy to watch with a mixture of untrained actors filling in as the locals of a sleepy Connecticut town and then bolstered by a formidable supporting cast. We have Dana Andrews at the center but he is buttressed by some quality performers who would make a name for themselves in subsequent years on the stage and screen. These include Lee J. Cobb, Ed Begley, Karl Malden, and, of course, Arthur Kennedy. Not one of them is a classically handsome or groomed Hollywood star but in the post-war years, they would be crucial to the trajectory of noteworthy films of the decade. Look no further than Death of a Salesman, A Streetcar Named Desire (1951), On the Waterfront (1954), or 12 Angry Men (1957) as living proof. The underlining moral conundrum of this film is evident as Henry Harvey is faced with political opposition and heady threats with his doting wife (Jane Wyatt) acting as his pillar of strength. The sides begin to get drawn up as the District Attorney takes a stand to uphold real justice and not just win another conviction and approval from the local populace. It’s a risk but also a move of immense integrity. The real-life inspiration for this man, Homer Cummings, far from becoming governor took on another position instead, as Attorney General of the United States under FDR. Not too shabby. The same can be said of this picture. Not too shabby as far as docudrama noir go. The film opens with a dead end drifter being ushered off a bus in the little every town of Walton, wedged somewhere between LA and SF. Although in actuality it was shot partially on location in Orange, California, serving up a perfect representation of quaint Middle America. You can almost hear Paul Simon singing from the future (Got off a greyhound to look for America) as Dana Andrews gets off the bus. Except he winds up at Pop’s instead. There he sizes up the town and gets his first eyeful of the alluring waitress Stella (Linda Darnell). He’s dead broke but he also has a brain on his shoulders and that gets him far with a pair of traveling fortune tellers who he is able to promote throughout town, despite the wariness of the townsfolk. This moral crusade is led by Clara Mills (Anne Revere) who is suspicious of such goings-on. It’s her sister, the righteous Ms. June Mills (Alice Faye) who ascertains, “Are we to judge?” She obviously is acquainted with the Beatitudes. And what she says is true but this whole issue made out of a couple of no-name mystics seems like a strange place to try and develop a film-noir. It’s a curious portrait. Here we have small town America, a wily drifter, two women, and a fortune teller putting on a Seance. But this is only a pretense to get to the dark heart of this film. Eric Stanton is bent on marrying Stella and he tells her as much. They’ve got something (When they lock eyes the cash register clangs). But the underlying problem is that he has no dough, no money to make anything of a marriage. Stella’s not a dumb girl. She’s just opportunistic and she wants some assurance at the end of a proposal. As Darnell’s character notes several times, she likes the way Andrews talks and he is a real talker, he’d probably make a grand used car salesman. As the story progresses it’s easier to get a line on his train of thought and the way he thinks is insidious indeed. Being blessed with a certain amount of charm, Stanton strikes up a relationship with the untouchable gal, the churchgoer, the book reader, the generally good human being, June. He knows how to pull her out of her shell. Catering to her necessity to get out and live life (All the things you look down on are the things that make up life. Little things, like a game of bowling..or a swim at night, or a dance, a kiss, stuff that bubbles). It works and she begins to be swayed. Conveniently she also has a great deal of money. The outcome seems obvious and yet the story twists in unexpected ways. Linda Darnell certainly steals the beginning of the story as the beautiful brunette that every man in town is batty over. The list of interested suitors is quite long but it doesn’t matter much. The latter half of the film is Alice Faye’s and as she was supposed to be the star of this picture it’s only fair that she should get her due. 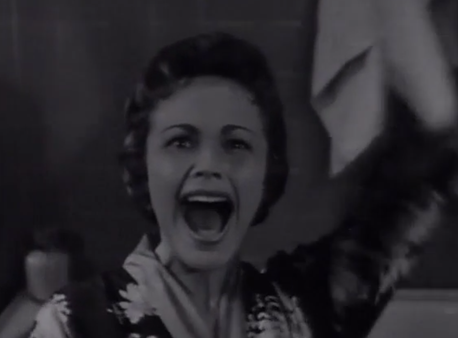 Except, understandably, she felt slighted by Daryl Zanuck who lobbied for his sweetheart Darnell and as a result, a great deal of Faye’s dramatic performance was left on the cutting room floor. What’s left as a testament of her performance, might pale in comparison to her counterparts Andrews and Darnell but it’s often true that it takes that virtuous character to juxtapose with the seedier qualities of those around them. Fallen Angel undoubtedly gets a bad rap because it does not reach the rapturous, beguiling heights of Laura (1944) from the year prior, but it deserves to be seen in its own light. It’s true that both films are murder mysteries but while Fallen Angel isn’t all that interesting in that regard it has a surprisingly sharp script in other ways. Preminger works through his story with a certain dynamic assurance and like its predecessor, it’s the characters that are by far the most fascinating. 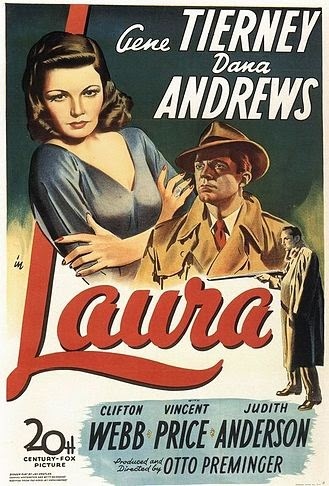 Laura was a superior mystery, character study, etc., but Fallen Angel gleams brightly thanks in part to its classical chiaroscuro cinematography and an engaging menagerie of locals including Charles Bickford, Percy Kilbride, Bruce Cabot, and John Carradine. Dana Andrews thrives in his element as the laconic drifter who nevertheless knows how to play people. Every time I caught a glimpse of Darnell’s hair decorated with a flower all I could hear were the refrains of Scott Mckenzie’s “San Francisco” ringing in my ears. And although Faye would not make another film until 1962, hers was not a bad performance. Above all, Otto Preminger deserves a break because Fallen Angel is still a minor noir classic. Inherent in a film with this title, much like It’s a Wonderful Life, is the assumption that it is a generally joyous tale full of family, life, liberty, and the general pursuit of happiness. With both films you would be partially correct with such an unsolicited presumption, except for all those things to be true, there must be a counterpoint to that. Upon watching both these films on subsequent days, that became markedly evident. George Bailey (James Stewart), of course, must go through a perturbing alternate reality where he never existed, and the consequences are catastrophic to all those he knows and loves in his community. But such a paradigm shift or new perspective, does truly revitalize his entire existence. It’s as if he sees the whole world through an unfaltering lens of hopefulness thereafter. Although it lacks the dark fantasy that engulfs the latter half of It’s a Wonderful Life, Best Years has its own heavy dose of foreboding, that while more realistic, is no less disconcerting. All the boys have returned from the theaters of Europe and the Pacific, including our three protagonists Fred (Dana Andrews), Homer (Harold Russell), and Al (Fredric March). Upon getting back to their old abode of Boone City, sons talk about nuclear fallout in Hiroshima and men at drug store counters warn of the imminent threat of “The Reds.” Some soldiers like Fred have trouble landing work. Others struggle with getting the necessary loans from banks like the one Al works at, or they come back to far less glamorous lifestyles. Homer copes with being a double amputee and simultaneously closes himself off to all those who love him, including his longtime sweetheart Velma (Cathy O’Donnell). He must learn not so much how to love, but the equally difficult life skill of allowing others to love him. Derry also struggles in a loveless marriage with his superficial wife Marie (Virginia Mayo), while also battling with PTSD symptoms like recurrent nightmares. Even the subtle reality that the only African-Americans in the film work behind soda fountain counters or in nightclub jazz bands has greater implications. Theirs is a relegated status, even in a country of liberty like America. Unlike the former film, we do not see any ghoulish human cemeteries, but we do see plane graveyards like ghost towns where metal is slowly rusting just waiting to get demolished and re-purposed. At this point, it is only a sobering reminder of all those who fought and died in the war years. Many of these topics are only mentioned for a brief moment or we can only infer them from visual cues, but still, they lurk there under the surface or better yet, right in plain view. These real-life unsettling concerns are worse than It’s a Wonderful Life because they fall so close to home even today. Wounded veterans are still coming home to a country that doesn’t know what to do with them, or a country that seems ungrateful for their service. Married folks still struggle through marriage and divorce. Single people still struggle with figuring out if they should get married and so on. I think part of the reason I admire The Best Years of Our Lives so much, despite its nearly 3 hour running time, is its ability to captivate my attention rather like a day in the life of someone I would meet on the street. Although Virginia Mayo and Mryna Loy seem the most Hollywood, most everyone feels rather ordinary. Certainly, Dana Andrews is handsome and Teresa Wright, as well as Cathy O’Donnell, are wonderful as multidimensional girls-next-door, but I feel like I could potentially know people like them. And of course, Harold Russell was unusual since he wasn’t a trained actor. That casting choice pays off beautifully in moments such as the final wedding scenes where in a dyslexic moment he switches up his vows. But it works wonderfully as an authentic addition. Although Gregg Toland worked on revolutionary fare like Citizen Kane, and William Wyler dabbled in all sorts of genres from westerns to period dramas, they have all the necessary sensibilities for a perfect presentation given the subject matter. The visuals are crisp and beautiful, but never flashy or overly conspicuous. The use of deep focus concerns itself with the overall composition of the frame -never attempting to focus our attention on any singular action. It all becomes equally important. Meanwhile, Wyler directs with a sure hand that makes the actions flow organically and at the same time his ensemble is given the space and the time to grow and evolve before our very eyes. It’s a timeless film for what it brings to the forefront and also because of what it evokes out of the audience members themselves. There is an underlying somberness to it at times, but most importantly it rings loudly with the high unequivocal notes of hope. In the post-war years, it was a pertinent film, and it still has something to offer even now. More people need to know about The Best Years of our Lives. While the City Sleeps has a brilliant cold open followed by a pounding title sequence, courtesy of Fritz Lang, that brings to mind a bit of Diabolique and Psycho. The rest of the film turns into a case to find the wanted lipstick murderer (based on a real killer), but that only holds part of our attention. When newspaper magnate Mr. Kyne dies suddenly, his begrudging son Walter (Vincent Price) takes over intent on shaking up the status quo and putting his mark on the company. He soon turns three men against each other as they desperately fight for the new position of executive director. The first is veteran newspaper editor John Day Griffith (played by the always memorable character actor Thomas Mitchell). The second candidate is chief of the wire service Mark Loving (George Sanders) who is Griffith’s main competitor. Finally, in the third spot is Harry Kritzer who happens to have a secret ace in the hole. Each of them is tasked with finding out the real scoop about the serial killer, and it turns into a real tooth and claw ordeal. Within the glass cubicles, everything can be seen, but not everything is heard and that’s where the secrets get disclosed. On the outside looking in, so to speak, is star TV reporter Edward Mobley (Dana Andrew), who agrees to help his friend Griffith by doing a little digging around about the murderer. He gets some tips from a cop friend Lt. Kaufmann (Howard Duff), and Mobley tries to smoke the killer out on air. However, it leads to the potential endangerment of his fiancée Nancy, who also happens to be Loving’s secretary. Loving has his love directed towards a female reporter named Mildred Donner (Ida Lupino), who attempts to needle Mobley for info. At the same time, the killer is on the move once more, with Nancy being an obvious target. Mr. Kritzer’s own romantic entanglements get him in trouble because he is seeing Kyne’s beautiful but detached wife Dorothy (Rhonda Fleming). Mildred finds out about them and they have some talking to do. Mobley also has some making up to do with Nancy after she finds out Mildred came to see him. It’s a big mess. Mobley juggles everything from his love life to the big scoop and they apprehend the killer, but things at Kyne’s don’t wind up exactly the way they expected. Mobley looks to move on from the paper with Nancy, but even he cannot get away that easily. While the City Sleeps is an underrated tale from Lang that is positively stacked with big names. Its pacing can be deliberate at times, but it is just as much an indictment of journalism as it is a thriller. The office is a web of deception with so many interconnections between these work factions. Those you would normally expect to be scrupulous seem to give up their honor in the face of this new promotion. In a sense, Mobley seems to be outside of this fray and yet he cannot help but get involved in it. It doesn’t help that nothing turns out the way it’s supposed to. Everybody seems to gain something, but nobody really wins the game. I must say it was great to see Dana Andrews in one of these leading roles again and although their roles were smaller, Ida Lupino and George Sanders still were a deliciously stuffy and corrupt pair. I was never really a fan of Vincent Price due to the roles he normally plays, but I was inclined to like Howard Duff (Lupino’s real-life husband) in his turn as the policemen. It goes without saying that Rhonda Fleming is positively beautiful, but she also cannot be trusted. I guess that applies to about every character in this film. It’s certainly a cynical world out there that Lang paints, where the killer might be caught, but corruption is never fully quelled. Starring Henry Fonda, Dana Andrews, Harry Morgan, Anthony Quinn, and many more, the film begins with two drifters (Fonda and Morgan) who enter a small western town. Soon it gets around that a man is dead and some of his cattle were also stolen. Hurriedly, a posse is put together and they ride off to find the culprits even though the Sheriff is looking already. They come upon three men and the majority of the posse believes the men are the perpetrators even though the trio profess their innocence. The posse votes on the spot whether to hang them or give them a trial and then they act. Only afterward do they discover the whole truth. 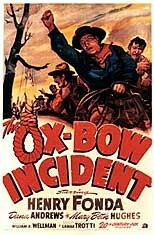 Although the plot is simple, this western brings up some interesting and difficult questions. It certainly seems to blur the lines between the good and bad guys. Who in their right mind would make a film like this today? I mean it’s nearly three hours of incessant talking and character development. There are no explosions or special effects. There are not even any war scenes! And yet it is pure gold from William Wyler. He forces us to get to know these characters — all the details about them — and it is a pleasure. In a year that boasted the likes of It’s a Wonderful Life, it is not simply a testament to the post-war sentiment, but also the power of this film, that led it to garner so much praise including a Best Picture Oscar. Like Capra’s film, WWII plays a role here without actually focusing on the fighting. The effects of such a cataclysmic event were enough on their own. The Best Years of Our Lives chooses to focus on the point of view of three returning servicemen. However, it would be selling the film short to suggest that is all the film is about. It revolves around deeper issues such as family, camaraderie, patriotism, and of course romance. Over the course of the film each man must navigate his own path, and much of those pathways have to do with their romantic relationships. Al (Fredric March) has been married 20 years and yet he returns to a home with a wife and kids who seem more foreign than the battlefronts he fought on. His loving wife Milly (Myrna Loy) patiently allows him to become acclimated and stands beside him as he stands up for his convictions at his bank. Then there is Homer (Harold Russell), the double amputee, who is bracing for the worst as he returns to his family and the girl next door named Wilma. His way of dealing with the situation is to avoid those he loves because by not letting them get close he thinks that will allow them to move forward with their lives. However, Homer completely misjudges just how much his girl loves him. Wilma is the real deal, and she is prepared to remain faithful to Homer no matter the circumstances. The final relationship is perhaps the most complicated of the lot. Fred Derry (Dana Andrews) is the complete antithesis of Al. He has little work experience, and he was a young man who only knew his wife for a handful of days before he went off to war. Now it is all coming back to bite him because Marie (Virginia Mayo) is not ready to patiently wait around while the former soda jerk tries to find a job. She wants money, nights on the town, and good times. Sparks fly and Fred finds himself drawn more and more to Al’s daughter Peggy (Teresa Wright) since his marriage is a loveless one. This relationship is perhaps the most agonizing to watch as Fred is torn apart, but he ultimately gets the girl who will accept him for who he is. “The best years of our lives” may have been during the war for some, but that really does not matter, because with the right attitude humanity is able to move forward to make the best of the future. That is one of the merits of this film, it exudes hopefulness and despite their different lots, each character is able to find a little slice of joy. No one personality outshines any of the others, but on the contrary, all the players add up to the perfect combination. I will shamelessly acknowledge that Teresa Wright is one of my favorite actresses and over the last few years I have come to really appreciate Dana Andrews. They really do deserve more credit and I hope this film continues to get the praise it deserves. It is a delectable slice of cinema and Americana. Starring Dana Andrews and Gene Tierney with Karl Malden and director Otto Preminger, this film follows a ruthless police detective. Mark Dixon is notorious for his strong armed tactics and he is given orders to cool it. That same evening a mobster holds a crap game and things blow up when Tierney’s estrange husband fights the man on a lucky streak. The police catch wind of it and arrive finding the man dead with the husband gone. Dixon finds the husband and tries interrogating him but instead he accidentally kills the man. He must elaborately cover his tracks and when the police gather evidence it all point to Tierney’s amiable father. Dixon knows the truth and as he falls for Tierney’s character he tries to help her father’s case. In a last ditch effort he writes a letter of confession and tracks down the mobster to face death and close the case. However, he gets out alive and everything turns out fine except for his conscience. He has the letter opened and the truth comes out. Andrews and Tierney were paired again after Laura and I have to say I really enjoyed this film because of the tragic hero Andrews portrays.